Q COSTA RICA – Men, mostly young and inexperienced in the handling of firearms, are behind the large number of homicides related to narco or drug trafficking occurring in Costa Rica, according to the Organismo de Investigación Judicial (OIJ) data, based on the profile of detainees suspected of committing the crimes. Michael Soto, deputy director of the Judicial Police, said that in several of the murders, caught on security cameras, can be seen to be nervous and clumsy. The official added that on other occasions, the hitmen collide their vehicles with each other at the scene of the crime while attempting to flee. Soto added that many of the drive away drivers accelerate their cars in a very risky way. The deputy director pointed out the event on May 15, where two apparently foreign gunmen, were well-trained, killing their target and a bodyguard in front of Mountview private school in Escazu. In the attack, a young boy, a student at the school, was hit by a bullet and run over by the vehicle of the intended victim. The boy is out danger and recovering in hospital. Soto said that attack was well planned and executed. But, that is not always the case. What worries authorities that in the attempt by inexperienced trigger men, mistakes happen, resulting in the death of innocent people. What worries authorities that in their attempt, the inexperienced triggermen make mistakes, resulting in the death of innocent people. For the year 2015 (the 2016 year data still not available), the OIJ says 19 people were killed by mistake; all killed by gunshots. 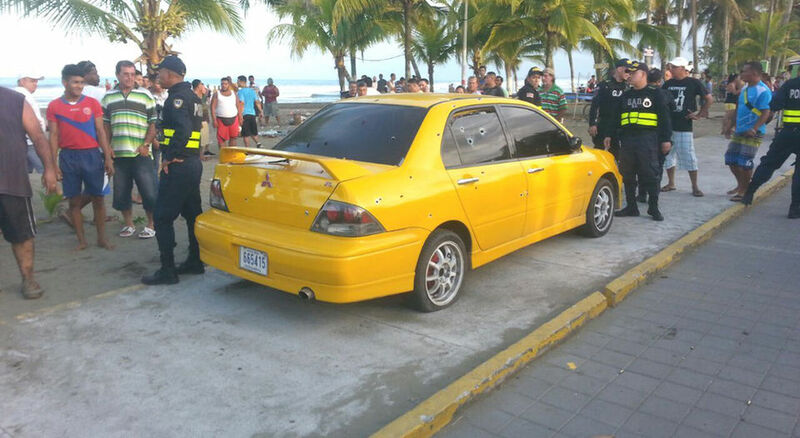 In October 2016, in Cieniguita, Limon, two men shot indiscriminately into at two men at the edge of a crowded beach and killed five people, four of them were innocent victims. Last March, in Dondonai de Matama de Limon, two children and two adults were mistakenly killed. Back to 2015 data, the OIJ reports capturing 336 suspects for alleged homicide. Of these, 79% (265) were aged between 18 and 34 and 10% (33) were minors.